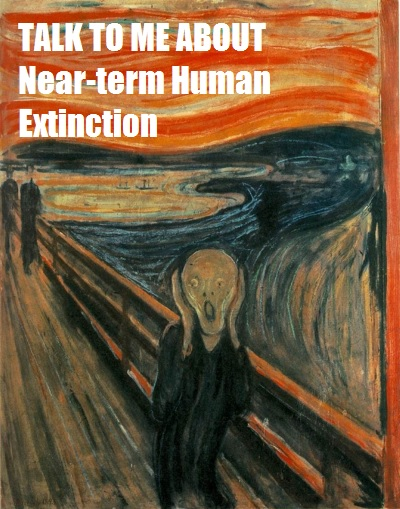 the symbol for near-term extinction. Put online by an acquaintance. I’d apologize, but Edvard Munch is dead. But the above circle with the hourglass has just been launched. And here’s the explanation for the symbols on the logo, from the website of the person putting it out there. You can follow Extinction Symbol on Twitter. 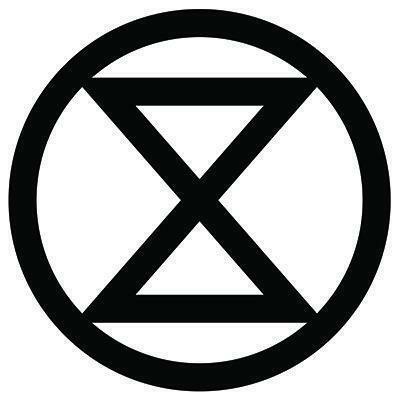 (it’s @extinctsymbol) In the meantime, here’s the website.